BitCasino.io is a bitcoin casino that was first launched back in 2013 and is one of the oldest cryptocurrency casinos around. This Bitcoin Casino is based in Curacao and is therefore also under the regulation of the Government of Curacao under license no: 1668/JAZ. At BitCasino.io you can use Bitcoin and various other cryptocurrencies to deposit funds and therefore are able to gamble with more privacy and with faster and cheaper transactions compared to that of standard online casinos. You can expect to find more than 1,300 games, some excellent bonuses and a high level of customer support and security. Furthermore, this is an online casino that has an excellent reputation among players. You can expect to find more than 1,300 entertaining games at BitCasino.io with these being supplied and developed by some of the biggest developers in the industry. This includes the likes of Net Entertainment, Quickspin, Betsoft, Play’N GO and Evolution Gaming. As for the different types of games that BitCasino.io provides, these are slots, table games, a LIVE dealer suite and a sportsbook that you can use to place bets on any sporting events that might take place. There are many categories in the lobby of BitCasino.io, more than you might find at other Bitcoin casinos which makes finding the games you want to play very easy due to an easy-to-use interface. We have left off the Live Baccarat, Live Roulette and Live Dealer from our breakdown of the categories on display at BitCasino.io but this is only due to us have a separate section for LIVE dealer games a little later in this review. Slots have always been the most popular types of games at online casinos due to the fun element that they bring as well as top-notch graphics and big payouts (depending on the slots you play). This is why you will notice that the vast majority of the games offered by BitCasino.io are slot games. Yes, you guessed it, here you will find all the variations of the Blackjack table game that you can enjoy at BitCasino.io. There is a good selection of blackjack games that are either from the table games category or the live dealer suite. Baccarat can be found at BitCasino.io too with multiple variations of the classic table game featured. Jackpot slots are where you will find all of the slots that can pay out some extremely big jackpots or progressive jackpots. These will often come with lower RTP’s to make up for those huge jackpots but a win could set you up for life on some of them. Live dealer games are one of the most popular types of games at any online casino and that is exactly the case at Bitcasino.io too. These games are streamed live to your computer or mobile device with a real dealer or croupier performing the game from a studio or an actual land-based casino. Here you are not relying on any RNG software when it comes to the results as you can see with your very own eyes what the live results are. BitCasino.io has a good selection of live dealer games with Evolution Gaming being the developers responsible for a good portion of them. While it might seem disappointing that BitCasino.io does not currently have a mobile app that can be downloaded by its mobile players, there is no need to despair as you can easily play via your browser. This is because BitCasino.io uses a responsive website that will instantly recognise the mobile device and the size of the screen that you are using and adapt its casino and games accordingly. Almost all mobile devices from low spec to high spec will be able to run the games without issue and even if you do suffer from some kind of lag or your device is struggling with performance, you can tone many of the graphics of the games down to improve your gambling experience. BitCasino.io has opted to use the hugely popular CoinGaming.io platform to power their Bitcoin casino. This platform has been used by many other online casinos and is considered one of the best in terms of reliability, ease of use and stability. 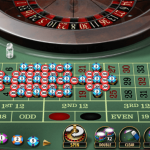 As we previously mentioned, there are more than 1,300 games that can be enjoyed at BitCasino.io and these are spread out among different categories such as slots, table games and a LIVE dealer suite. There is even a sportsbook that you can use to place bets on big sporting events such as the upcoming World Cup. As you can see, there are some massive names in the online gambling industry there, especially with the likes of NetEnt, Play’N GO, Quickspin, Betsoft and Evolution Gaming. With so many great developers being represented at BitCasino.io, you can be sure that you will be given access to only the very best online casino games available. Unlike many other Bitcoin casinos, BitCasino.io does actually have some rules and regulations to adhere to due to being regulated and licensed by the Government of Curacao. This is good news as you can be sure of a fair experience and one that keeps you protected should anything untoward ever happen. They also have a strong reputation, use SSL encryption technology to protect sensitive information and have a qualified and experienced support team. Most players that are considering new Bitcoin casinos to play at will no doubt have the promotions and bonuses that will be on offer to them high up their list of priorities. Fortunately, BitCasino.io is right up there in this regard as you can expect everything from a lucrative welcome bonus, regular promotions and bonuses and even a VIP program that you might just get invited into. Before you make any deposits to claim any bonuses that BitCasino.io has on offer, make sure you enable them in your account. This is done by going to ‘My Bonuses’ after you have made an account at the online casino and select ‘enable’. For the welcome bonus as BitCasino.io, you have the ability to be able to get your hands on as much as m฿ 2,000 in match deposit bonuses. This is right up there with some of the best welcome bonuses we have seen at Bitcoin casinos and one that you should definitely take advantage of. 1st Deposit – The very first time you deposit at BitCasino.io, you will be given a 100% match deposit bonus up to a maximum of m฿ 1,000. 2nd Deposit – On your next deposit you will also be given a match deposit bonus, this time worth 50% up to m฿ 1,000. The first bonus has wagering requirements of 35x before you can withdraw any winnings made from your bonus crypto’s and the second has 30x. While these welcome bonuses are great for any new players that sign up to BitCasino.io, they also keep their current players happy with other bonuses and promotions to look forward to as well. These are updated on a regular basis with new and exciting promotions being run consistently. You can expect special bonuses during holiday seasons, Halloween and any other popular occasions throughout the year. This will be the most interesting current promotion for most of you as it a 25% match deposit bonus that you can use as many times as you like on as many deposits as you decide to make after you have used up your two welcome bonuses. This bonus comes with a wagering requirement of 30x before you can withdraw any winnings that you might have made with the bonus cash. This is the only other current promotion at the moment and it is a leaderboard for the Pirates Charm slot. Players need to play at least 100 rounds on the slot and if they do well and find themselves in the top 13 come the 16th of May 2018, they will get a share of the m฿ 185 prize pool. On their promotions page, you will be able to see just how active they are in this area as you can look back at the many other promotions and bonuses they have run over the months and years. Offers and Rewards Personally Tailored for you. Rewards Such as Free Spins, Gift Cards, iPhones, Laptops and Smart Televisions. BitCasino.io has always tried to maintain a strong focus when it comes to their customer service as they realise that this is an area that is a top priority for most that are looking for a new Bitcoin casino to enjoy. Their customer support team is trained to a very high standard and in our experience, they are all extremely friendly, responsive and are extremely eager to resolve any issues that you may have. The only disappointment is a lack of telephone support but they can be contacted via email or via their live chat feature. The latter will obviously bring the quickest response but email might be the best method if you have a lot of information to get down for them or want to send over any attachments. Both their email and live chat feature are manned on a 24/7 basis. German, Spanish, Chinese (Simplified), Italian, Persian, Dutch, Russian, Bahasa Indonesia, Japanese. Bitcoins (BTC), Ethereum, (ETH), Litecoin (LTC), Ripple (XRP), Monero (XMR), Bitcoin Cash (BCH), ZCash (ZEC), Dogecoin (DOGE), Dash (DASH) and 34 other Altcoins. As you might expect from the name of BitCasino.io, the main cryptocurrency that you can deposit with is Bitcoin but you do also have the ability to deposit using as many as 43 other cryptocurrencies and altcoins. You will only be able to gamble with Bitcoin however and as such, if you are not going to deposit with Bitcoin, BiCasino.io makes use of the ShapeShift.io service to convert any other cryptocurrency that you use to deposit into Bitcoin. The minimum deposit is m฿ 1 while there is no maximum limit. The minimum withdrawal is m฿ 2 and the maximum is m฿ 50,000 per day. We can find very little reason why you shouldn’t play at BitCasino.io to be fair. It has a splendid selection of games from a wide variety of developers, it is mobile-optimised, it has super-quick payout times as you would expect with Bitcoin transactions and the reputation BitCasino.io has is second to none compared to other Bitcoin casinos. When you add in the superb welcome bonus and the many other promotions and bonuses they run, you have yourself one of the very best Bitcoin casinos around right now.